Several months ago, I started having some mild pain in my left side/upper abdomen (spleen, kidney, rib cage area). I waited awhile to see if it would go away, but it didn’t. So, I went to see my doctor about it. He wasn't certain what it was, so he ran some tests to rule out a few things, and all the tests came back normal. I was told to call back if the pain did not go away, and they would do a CT Scan to check for kidney stones or other issues. I ended up waiting until after the holidays to call back, then finally had the CT on January 4th. A few days later, the nurse called with results and said I don’t have any kidney stones, or gall stones, and they couldn't see anything else alarming either - no masses or cysts or anything like that. I do seem to have an enlarged appendix but, thankfully, I have no other symptoms along with it. So, I guess I'm a mystery. I also mentioned my pain to my Oncologist at my recent 6-month checkup. He was not concerned, especially since all of my labs were good. He said it is probably muscle related. So, if things don't improve, I may need to head over to the Chiropractor to get things checked out with him. Time will tell. TRUST in the One who knows all. TRUST that I will take care of you. TRUST that I will take care of your family. It was hard to do, but I knew I had to put my faith into action. 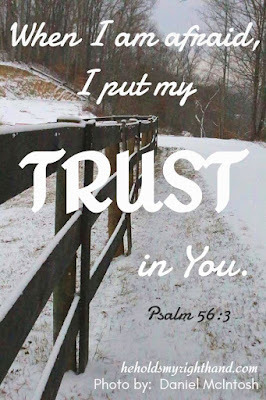 I had to willingly give up the anxious thoughts I was having and place my TRUST in my Heavenly Father. 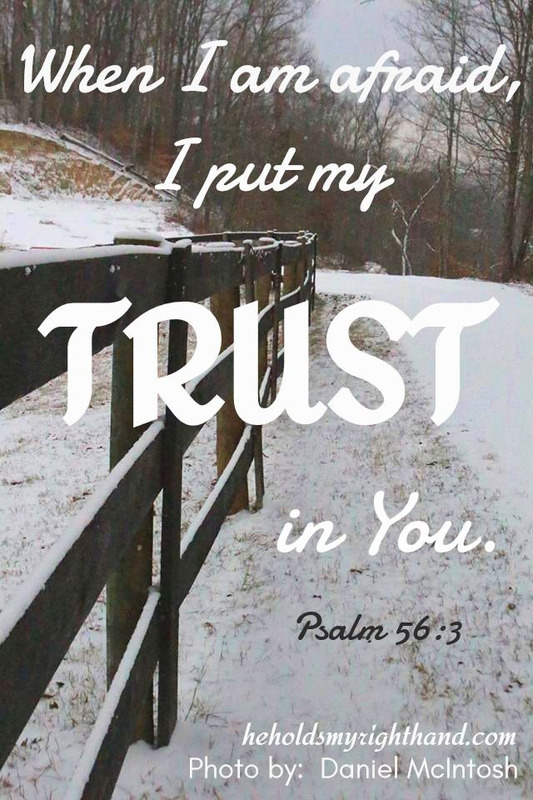 TRUST is believing that, no matter what the outcome is, God is there to work out the details and help us through it.